The ultimate goal is for others to experience hope through the Gospel. So, who do we effectively introduce others to Jesus? Is there a line that can be crossed? What means are available? Tune in to Mark A. Griffin, Chief Consultant, as he digs deep and dialogues with host Dee Kovach on, “What is a “Kingdom Minded” company?” Let Mark inspire you to be bold in your faith as you learn to navigate the complexities of faith in the workplace. Mark Griffin – Mark Griffin, of In His Name HR. In His Name HR provides human resource consulting for small- and medium-sized organizations. Mark has served in the US Air Force, has extensive educational credentials, including a BA in HR, an MBA and several Executive Education certifications from the University of Michigan. In addition to serving as VP of Human Resources for an international agricultural equipment manufacturer, Mark has also worked in a variety of HR leadership roles for Fortune companies, such as Merck, Kodak and Quaker Oats, as well as privately held and employee-owned companies, such as Woolrich and Townsends. 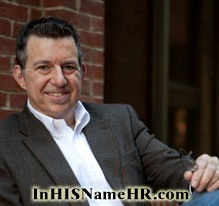 Find out more about Mark and In His Name HR at www.inhisnamehr.com. 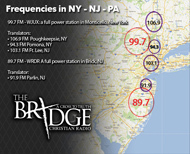 Did you know that you can now listen to Tandem Radio on The Bridge FM anywhere at anytime?